Microplastic is microscopic pieces of plastic, which is so small so that it can even enter our blood stream. In one of our articles, we have explained about potential danger of microplastic and its consumption which may last for generations. Nowadays, we can say that we are not safe from the terror, since basically smallest amount of it can be found anywhere. In example, study conducted found out that 90% of more than 250 bottles of 11 different brands in nine countries are contaminated by microplastic. World Health Organization is currently studying the potentials of microplastic and how it would affect humankind in the future. “WHO would review the very scarce available evidence with the objective of identifying evidence gaps and establishing a research agenda to inform a more thorough risk assessment,” stated by the United Nations’ branch of world’s health. You might think that we are only exposed to microplastic when we drink from plastic bottles or consume big fish. But apparently, without knowing we are also exposed to microplastic. The medium is a small insect you see almost everyday, mosquito. Many kinds of bugs start their life in water, including mosquitoes. 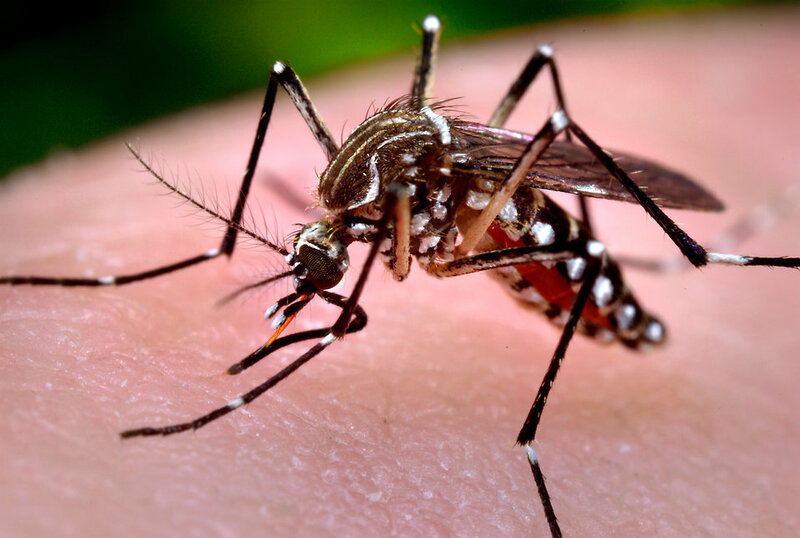 Adult female mosquitoes lay their eggs in water, and the water body then will become the place where her larvae spend their earliest stage of life. After the eggs hatch, the larvae hang suspended from water surface to breathe air above the surface. However, they don’t spend all of their time in this position, when they feel threatened or looking for foods, they will swim deeper. This stage of mosquitoes lives lasts for about 4 to 14 days, depends on the species, water temperature, and food availability. Of course this is not the safest stage of a mosquito’s life, that’s why they don’t want to spend too much time this way. In such case, the only option they have to get out of larval stage faster is by eating more. 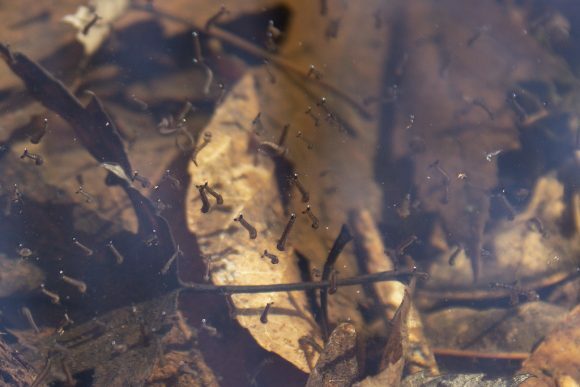 Mosquito larvae are filter-feeders, meaning they waft any tiny pieces of food in front of them into their mouths. And to get out of larval stage faster, those larvae will waft more food. This is where the problem coming from, mosquito larvae are not choosy about their foods. So, if the water body where they live in is contaminated by microplastic, the microscopic plastic pieces will likely get consumed by the larvae too. 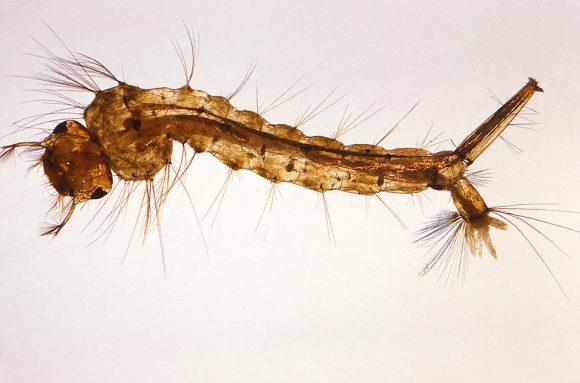 The reason why mosquito larvae eat a lot is because they need energy to get through the next phase of their lives, which is non-feeding pupal stage. This is also the reason why they are not choosy about their foods, because what they need is just energy. 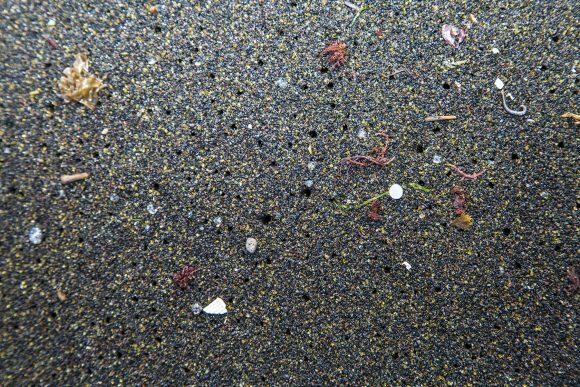 In the case where those larvae accidentally ingest microplastic, the tiny plastic pieces will stay in their bodies even through adulthood. There is no natural mechanism in their bodies to dispose the microplastic pieces. The problem is, mosquitoes die just anywhere, whether we kill it, get eaten by their natural predators, or just die naturally because of their short lifespan. Their body can be decomposed or dissolved, but not about the microplastic pieces in their body. This way, the tiny insects are literally spreading microplastic contamination all into any place over the world. Amanda Callaghan from the University of Reading, , the author of the study, and her team were shocked to find out about how microplastic contamination is even spreading this way. “It is a shocking reality that plastic is contaminating almost every corner of the environment and its ecosystems. Much recent attention has been given to the plastics polluting our oceans, but this research reveals it is also in our skies,” Callaghan said. Okay, microplastic in mosquitoes is a problem, but that’s not the only problem. Mosquitoes are not the only insects to spend their earliest phase of life in water bodies. There are many other species like dragonflies, beetles, wasps, and mayflies that spend some time of their lives in water bodies. The reason is because those animals, in larval stage, eat the same way as mosquito larvae. “Larvae are filter feeders that waft little combs towards their mouths, so they can’t actually distinguish between a bit of plastic and a bit of food,” Callaghan explained. It becomes clear why the discovery of microplastic in mosquitoes is a kind of terror for the researchers. Most of those insects are lower ranks in natural food chains, which mean microplastic in their bodies is entering bigger animals’ bodies. Before the discovery, microplastic has already been a problem for our environment. However, at that time we had not paid so much attention about it because the discovery of microplastic was limited only in saltwater animals. But today we are faced with different, and bigger, problem about microplastic. Simply we can say that microplastic contamination is actually spreading wider than fish meat and mosquito distribution. “This is a new pathway to get plastics up in the air and expose animals that are not normally exposed. We don’t know what the impact will be,” Callaghan said. 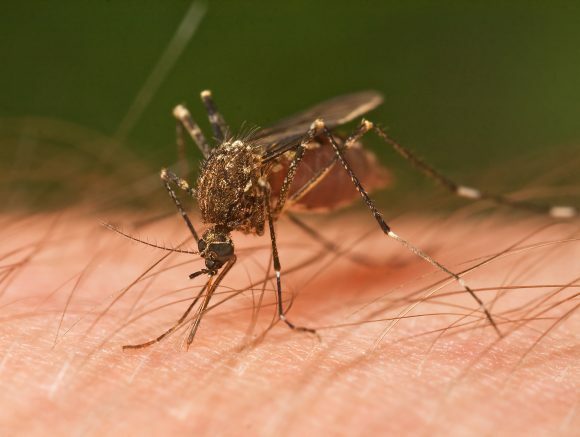 Knowing that mosquitoes are carrying microplastic in their bodies, you might wonder will they be able to transfer it into our bodies like they do with diseases. The exact answer is still under research, but probably not. As mentioned before, researchers predicted that mosquitoes cannot dispose the microplastic in their bodies until they die. If that’s true, then they should not be able to transfer it into our body via their itchy bites. However, even if they can do it, the amount would be so small that it might need hundreds or thousands of mosquitoes to bite us and transfer the microplastic to cause serious health problems. And again, even if it happens, researchers still cannot conclude what kind of serious health problems that microplastic can cause to our bodies. We just know that microplastic is non-organic matter, and having non-organic matters in our system is never a good idea. But the problem with microplastic is not about us, it is about the environment and other living organisms. What researchers are concerned about is that microplastic deposit breaking down in living organisms’ system, which then poison them with the chemicals that plastic is made of.“We don’t know all the chemicals in plastics, even… There’s so many unknowns here,” said Jane Muncke, the chief scientist of Food Packaging Forum.